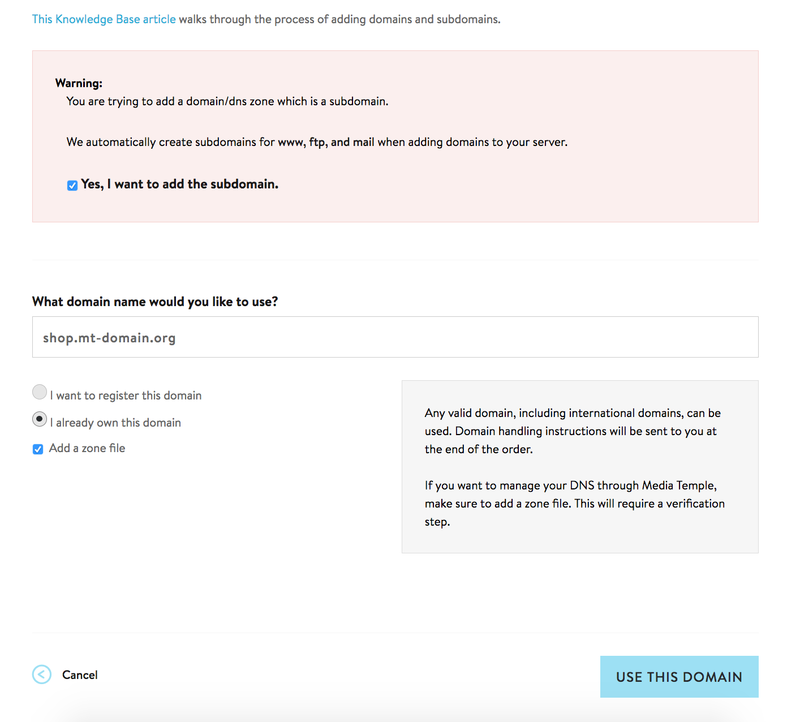 The following guide will provide instructions on how to add a domain or subdomain to any of your (mt) Media Temple servers. Log into the (mt) Media Temple Account Center. Click on the Add a Domain button. Type your domain name in the text box. You may need to make some additional selections which are outlined below. If you have NOT purchased a domain registration at Media Temple or outside company, and need to register the domain name. This will require appropriate registration fees. If you've ALREADY purchased the domain registration at Media Temple or a third-party provider. Since the domain is already purchased, this option is free. If you've selected I already own this domain, you will be prompted with another option to Add a zone file. 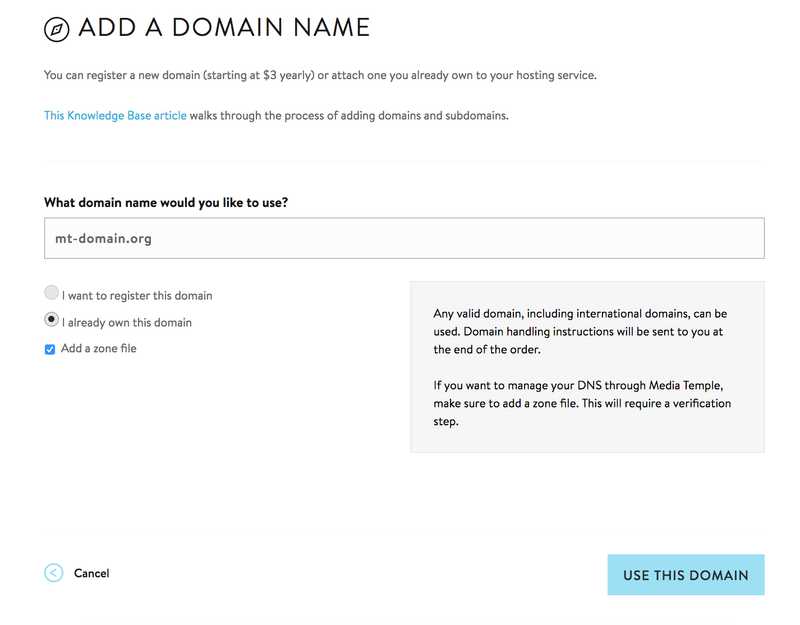 Leave this checked if you plan to host the domain's DNS zone files at Media Temple. Verification will not be required to add a zone file. Verification may be required to add a zone file. 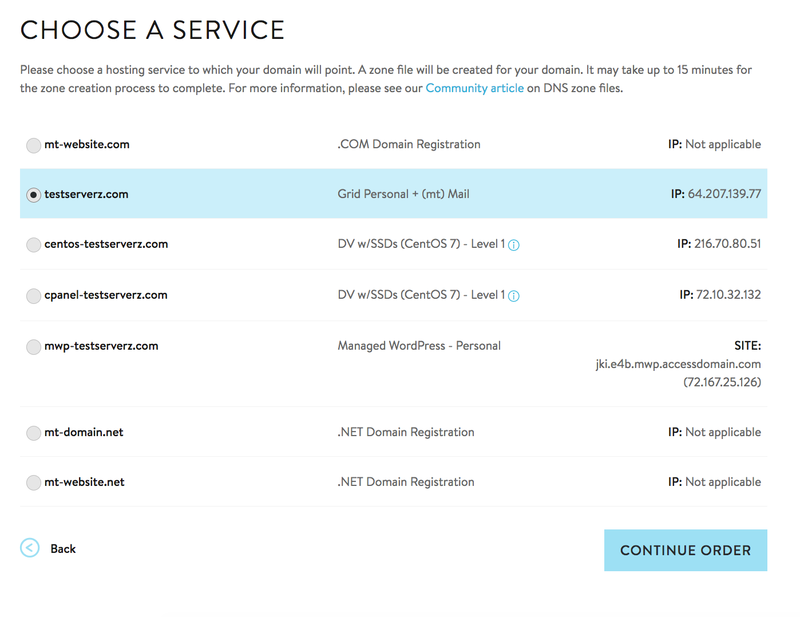 Select the server you wish to add the domain to. Then click Continue Order. Once verification steps have been completed, you will be taken to the Overview page of your Media Temple account. You should now see the domain added to the selected server. If you encounter any error messages when attempting to add your domain, feel free to contact support by opening a support request, starting a chat, or by calling us at 1.310.841.5500. It is NOT necessary to manually create www, ftp, or mail subdomains, as those will be generated automatically if you create a zone file for the parent domain. When attempting to add your subdomain, a message will appear asking you to confirm that you wish to add a subdomain. Check the box, Yes I want to add the subdomain. Then continue as usual. 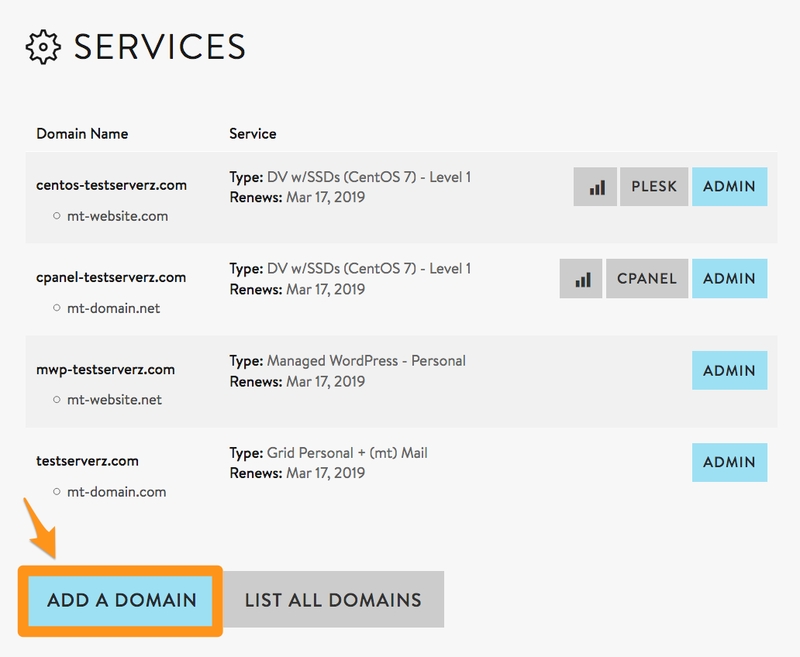 If you plan to also build/host your website files on your Media Temple server, you will want to ensure you add the domain to a WordPress site.